This light is one of the most popular LED flashlights on the market today, and we’ve updated and upgraded both features and technology in our new P7.2 for the best possible light experience. The P7.2 flashlight has simple to remember high/low/off settings, and features the Advanced Focus System™ to quickly cast a far-off spot, or close up spill light for reading. 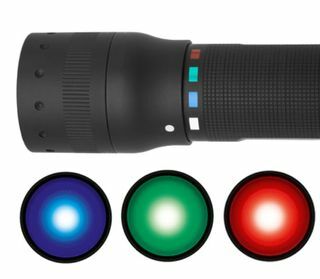 Extremely durable anodized aluminum casing surrounds the four AAA batteries needed to power this impressively bright light, enhanced by a new CREE® LED chip. The all-new P7.2 is the perfect combination of size, power, reliability and easy-to-use operation – great for camping, hunting, hiking, walking the dog, work and more. This keychain light is the perfect size for your pocket, purse or keys. The K1 LED flashlight has a powerful 16 lumens to keep your trip to the car, home, office, or errand safe and well lit. 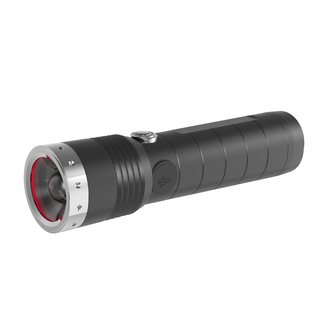 A quick twist of the bezel is all you need to turn this little LED flashlight on and off. Smart Light Technology This innovation turns a Ledlenser into your personal lighting tool: Using a microcontroller you can program your individual range of functions with different touch and switch combinations. That way you always have the optimal light function on hand. Advanced Focus System Galileo swore by the power of lenses, Newton swore by reflectors. We have simply combined the two technologies - but better than anyone before. The result: Our patented3 Advanced Focus System (AFS), which allows a seamless transition from homogeneous low beam to sharply focused high beam. The efficiency of the AFS even has experts enthralled. Rapid Focus When you focus and defocus a flashlight the reflector moves in relation to the lens. With conventional mechanical systems this happens when you turn the head of the flashlight. Because we found this technology too slow and impractical, we have developed the Rapid Focus: A sliding carriage mechanism with which you can change the light mode in nothing flat - using one hand. The X14 features our industry-first X-Lens Technology™- two LEDs focused into one powerful beam. The unique ridged bezel design houses our optimized heat management system that allows us to drive our LEDs harder, producing a powerful 450 lumens on just four AA batteries. The X14 also features the Advanced Focus System with lens/reflector optic for more clean and concentrated light where you need it most. Up close spill or a long-distance beam; the choice is yours. 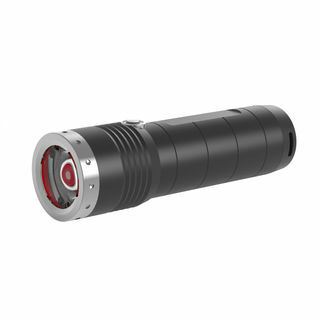 The smallest in the LED Lenser P-series, the P3 produces a bright beam for great lighting of short distances and small areas. The addition of Lenser's Advanced Focus System allows for a quick transition from circular floodlight to a focused longer distance light. Its small size makes it perfect for pocket, purse or gear bag. The P3 is super efficient with a burn life of up to 40 hours from 1 x AAA battery. Comes with a pocket / belt clip and nylon pouch.